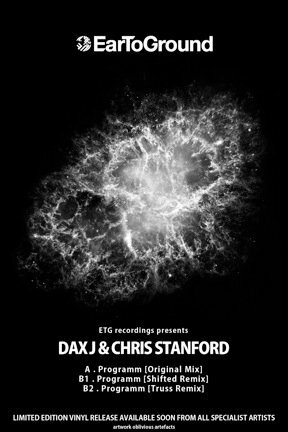 To celebrate the launch the ETG team have put together a party with a very special lineup over at Corsica . SO FAR they have two very notorious names in UK Techno, Inigo Kennedy and Shifted! Both need very little introduction. If this wasn’t exciting enough – we have FIVE yes FIVE pairs of tickets to you lucky readers to give away. All you need to do is email me at: melissa@plainandsimple.tv and a name will be picked at Random this Friday. Inigo: Inigo Kennedy is a pioneering and respected techno and electronic music producer and DJ. He is well known for always bringing technical and creative originality and skill to his work. He is the owner of the innovative and genre defying label Asymmetric. He has also been responsible for a large and diverse back catalogue of releases on a wide variety of labels and projects around the World. His discography stretches to almost 100 releases on vinyl, CD and as MP3. His DJ schedule has taken him to all corners of the World. 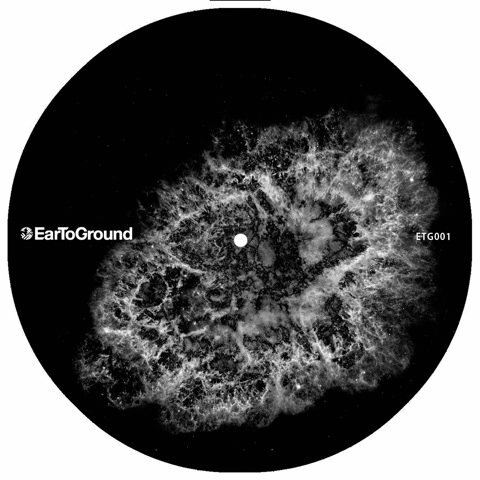 Shifted: Recent releases on Avain, Naked Index, Syndrome Z, Two EP’s on Mote Evolver and now an amazing remix for us on EarToGround. Recently he had his first CLR Podcast and soon will be making his debut at Berghain in Berlin. 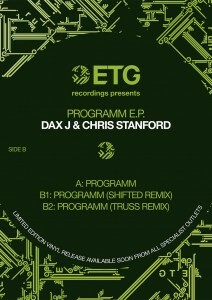 Forthcoming remix work for Jonas Kopp, m_rec and Our Circula Sound. Also look out for his new Pacific Blue imprint with covers more dance floor orientated Techno as apposed to the deeper Shifted sound. Shifted is certainly is hitting it hard this year, in a short space of time he has well and truly made his mark. A major player set for very big things. 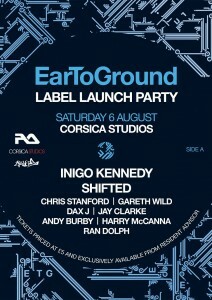 For guestlist please send names to eartoground@hotmail.co.uk. 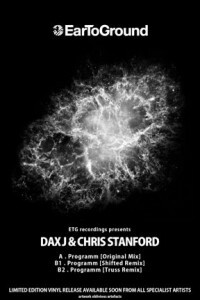 Guestlist will shut at 12am so arrive early to avoid disappointment or buy advanced tickets at RA for a fiver ! !